We are a group practice of experienced, empathetic, and accommodating midwives. Our philosophy is that the mother is having the baby. Our job is to help her. We are a source of information and support but the mother is the leader. Of course, if you are floundering, we are there with comfort and suggestions, and if there is the potential for harm we are responsible for the safety of your birth. However, mostly we believe mothers know instinctively how to do this. All the high-tech benefits of modern obstetrics are available in our practice. Village Maternity offers advanced genetic testing, sonograms, consultations with Maternal Fetal Medicine specialists, epidurals on demand, but not all of these things are needed or even desirable in every case. The choices are yours. Prenatal visits are in our private office – 101West 12th Street in Greenwich Village. When you are ready to give birth, the midwife will meet you at Metropolitan Hospital on the Upper East Side. Metropolitan Hospital deserves special mention among NYC hospitals. Metropolitan Hospital shares a long tradition of midwifery care and support for physiological birth. It has among the lowest cesarean delivery rates of any hospital in Manhattan with outcomes equivalent or better. Metropolitan offers showers or tubs in every labor room for hydrotherapy and inhaled nitrous oxide as an option for pain management. It offers epidurals. Metropolitan has telemetry so you can move about freely even if you need continuous electronic fetal monitoring. There is a Level 3 Neonatal Intensive Care Unit and also an ACOG Board Certified attending obstetrician available any time the midwife needs assistance with a problem during the birth. Metropolitan Hospital has some special features. It is accredited as “Baby-Friendly”, a World Health Organization designation promising no separation of mother and baby except for medical indications. Breastfeeding is promoted and facilitated with a full time lactation consultant. All Metropolitan staff have special training in assisting you to breastfeed. You and your baby will have a private room together with a pull-out couch for the father or other support person who wishes to spend the night. At Metropolitan there are no visiting hours or restrictions for your chosen support team. If all this sounds good to you please contact us by phone or email for further discussion and to schedule a tour. 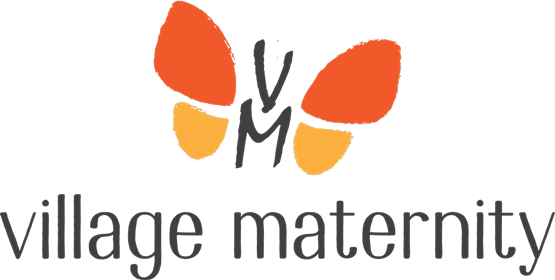 You can reach Georgia Rose at 646-832-5354 or georgia.rose@vmaternity.com. We look forward to speaking with you! We all want our pregnancy and childbirth to be normal and uncomplicated. 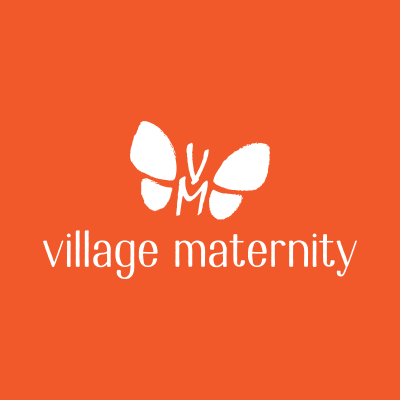 In Village Maternity’s collaborative practice, our midwives and doctors work together to help you have an uncomplicated pregnancy and birth. However, nature and history have taught us that sometimes there are complications. Our maternal-fetal medicine specialists are uniquely qualified to help you through any bumps in the road if needed. They are trained to recognize problems and advise on how to best avoid any dangers. Our team bases their care on evidence-based literature including the 2014 ”Obstetric Care Consensus” and the 2017 “Approaches to Limit Intervention During Labor and Birth”. These two documents discuss our core value of assessing “ the short-term and long-term tradeoffs between cesarean and vaginal delivery as well as the safe and appropriate opportunities to prevent overuse of cesarean delivery, particularly primary cesarean delivery.” Village Maternity recognizes women want and deserve minimum intervention with maximum safety and positive experience.